With the current state of the economy, it is increasingly important to save money wherever you can, on everything you can. More and more people are choosing to save money on wear and tear and fuel for their vehicles by shopping for their needs from home. With this advanced computer age, the costs of running a business and its copying and printing needs are getting higher and higher. How can you possibly save money on something that you must have to run your business? Throw in the towel when it comes to going to your local brick and mortar store for your ink and toner cartridges and buy them online. If you do not think that you can save money by ordering online, consider this. For the sake of argument, you need a set of four colored 4150CDN toner cartridges for your Brother printer. This is a need for any office setting, and by going to the brick and mortar store, you are going to pay over $440 for those toners. Now, by buying the same 4150CDN toner cartridges on the internet, you can get them for just under $200. That is a remarkable savings of over $200. Imagine what you could do with an extra $200 in your pocket that you would have had to spend otherwise. Perhaps you think that this is a fluke, and you will not find the toner you need at such an incredible price. Again, for a Brother that needs a 9970CDW toner, that same pack of four that would cost you over $440 retail, can be purchased online for a measly $200. Again, you are saving over $200 on necessary items. Although these savings are great, there is a reason why you get this incredible pricing. The best online distributors offer you all the printer and toner cartridges that you need at incredible savings because they buy them directly from an ISO-9001 certified manufacturer in huge quantities. These cartridges are made to meet or exceed OEM requirements. They are refurbished, allowing them to come to the distributor at a great price. The best in online distributors only sell them via the internet, which decreases the overhead that otherwise you would have to pay for. What this means is that the distributor locks in an incredible price on these cartridges, which is then passed on to you. This means that you are going to save thousands of dollars each year on products that you need to have to keep your business going. If this did not sound amazing enough, it gets better. Since all of the cartridges are refurbished, what if they break or don't work? Not an issue, because you get free returns within 10 days if you are not 100% satisfied with your purchase. If that were not enough, every order you place will be shipped to you via US Priority Mail or FedEx within 24 hours, and will always be sales tax free, no matter where you live. 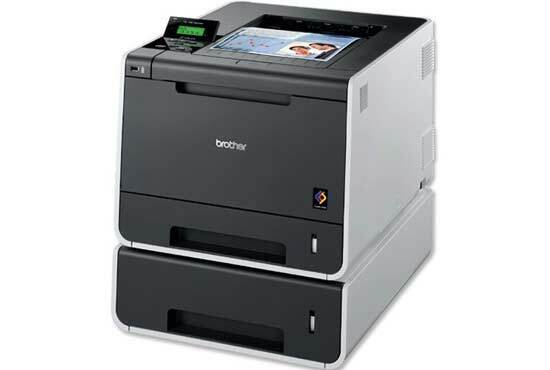 With incredible savings on your printer and copier needs, imagine what you can do with all that extra money in your pocket book instead of someone else's. Today when the rates of the cartridges are increasing day by day everyone wants a solution for the problem.Do some good research in the market and you will surely crack a good deal for your ink and Toner cartridges without shelling out much money from your pocket.Thanks.